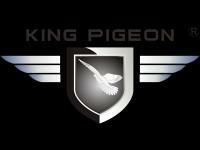 Home - King Pigeon Communication Co.,Ltd. King Pigeon is a professional GSM Alarm,GSM SMS Alarm,GSM M2M RTU,GSM SMS Controller,GSM RTU Automation system,GPRS RTU Data Logger,Temperature Logger,Power Monitoring System,Wireless GSM Home Alarm system, GSM M2M, 3G M2M, 3G RTU,3G DTU products Manufacturer! Location: 5F,F Building,Yushen Industrial Park,Jiuwei,Xixiang,Bao'an District,Shenzhen,518126,China. Enter Member ID Haven't registered yet? Copyright Notice © 2011 www.biz4security.com. All rights reserved.